Three new Filmmaker Junction events coming up! 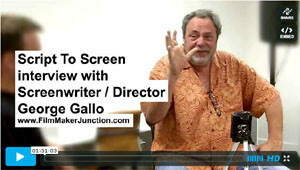 Sign up to my newsgroup for this killer seminar with screenwriting legend George Gallow! Plus I will keep you up to speed with the movies I am making, books I am writing and upcoming workshops. © 2019 Guerilla Gal. All Rights Reserved.